At first glance, visitors seeing these beautiful waterfalls for the first time often think of Niagara Falls or possibly C.S. Lewis’ Narnia, not South-Central Idaho. 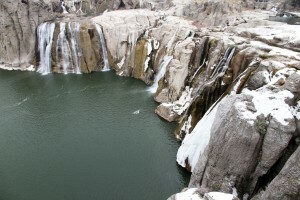 In reality, Shoshone Falls in Twin Falls, Idaho stands about 45 feet higher than Niagara Falls and is much more real than Narnia. Another bonus – no passport is needed to visit either side of the falls! To be fair, Idaho is technically considered a desert. This means that at certain times of year, the falls may be slightly more frozen than flowing. But this hidden beauty, within an otherwise desert environment, is one secret that needs to be let out and is dying to be explored. No matter the time of year, this sight is worth a visit. 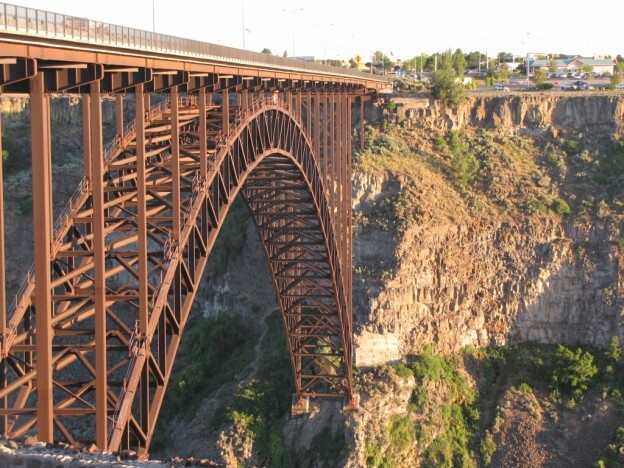 For those adventure-seeking types who aren’t interested in watching bursts of water shoot off a cliff, here are two words to know: Perrine Bridge. To add a few more words, this bridge is one of very few manmade structures in the U.S. where B.A.S.E. jumpers don’t need a permit to jump. Here, daredevils and thrill-seekers alike are able to enjoy a 486-foot drop into the crisp water of the Snake River below. On top of that, history is literally created at this Twin Falls landmark as several world records have been made and/or broken on this 1,500-foot-wide bridge. 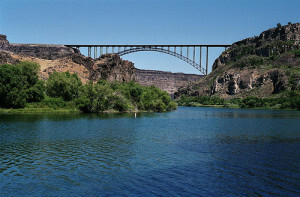 In 2005, 21 people took the challenge to jump off Perrine Bridge at the same time. As their parachutes opened and they glided to the river below, Twin Falls caught the literal meaning of that ‘80s song, “It’s Raining Men” (and in this case, women, too). The next year, in 2006, a man named Captain Daniel G. Schilling jumped off the Perrine 201 times in less than 24 hours, setting a Guinness World Record. He used a 60-ton crane that lifted him to the top to speed up the process. If it’s not clear yet, this place is one-of-a-kind. 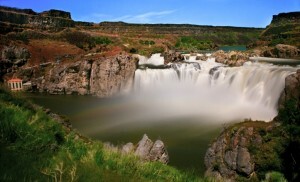 Visit Twin Falls today with a short SkyWest jet flight, operating as Delta Connection, from Salt Lake City. Top industries include manufacturing, agriculture and tourism.